Lamar Evans was acquitted of burning down a vacant house after his trial judge mistakenly required Michigan prosecutors to prove more than they needed to, all sides now in the case agree. TheU.S. Supreme Court on Tuesday considered whether Evans can now be tried again. A decision, expected by the end of June, could punch a hole in the U.S. Constitution's general prohibition against being tried twice for the same crime, known as double jeopardy. 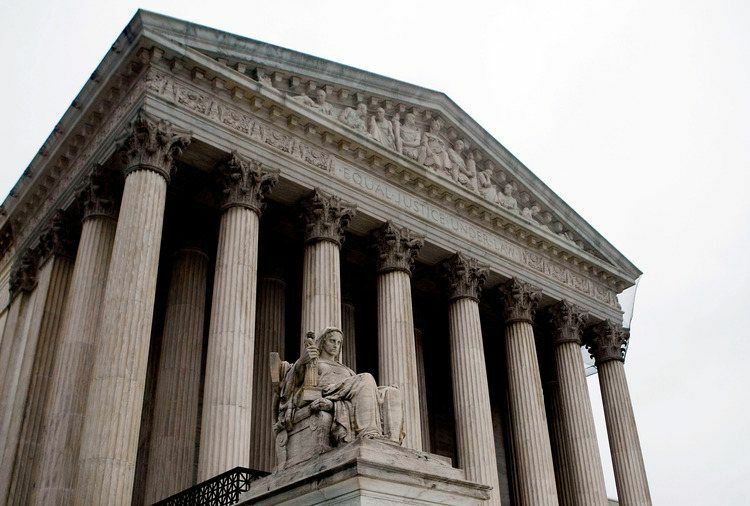 Justices appeared torn over how to balance the protection under that rule against potentially setting guilty defendants free by depriving the government of its right to prosecute. "We've said the government gets one fair shot at conviction," Chief Justice John Roberts told Evans's lawyer David Moran. "It does seem to me that if they had been thrown out of court because of a legal error, it's not a fair shot." Two Detroit police officers had caught Evans on September 22, 2008, as he ran with a gasoline can away from the burning house. Arson investigators later found that gas had been poured in the kitchen, the dining room and a bedroom. At the request of Evans's lawyer at the time, the trial judge said prosecutors had to prove that the house was a dwelling, even though state law did not require such proof. When they could not, the judge directed that Evans be acquitted. However, the Michigan Supreme Court ruled 4-3 in March that Evans could be retried as the acquittal was based on an error of law that did not address the facts of the alleged crime. In his appeal, Evans's lawyers said the U.S. Supreme Court has held for more than a century that legal errors leading to acquittals did not affect the finality of those acquittals. They also said creating an exception when judges add an "extra element" to the burden of proof would let prosecutors appeal acquittals by juries as well as by judges. The National Association of Criminal Defense Lawyers supported Evans's appeal, saying it was an "iron-clad rule" that defendants who are acquitted because of errors of fact or law cannot be retried for the same crimes. Several justices on Tuesday questioned where to draw the line if an exception to double jeopardy protection were created. Some asked how wrongly acquitted defendants ought to fare when judges try cases without juries, misconstrue the evidence rather than the law, or make errors in law that were not at the behest of lawyers like Evans's trial lawyer. JusticeElena Kagan asked Moran whether his client might have gotten a "windfall" through a wrongful acquittal. "Your client walks away the winner when he shouldn't have," she said. Moran resisted the characterization. "The court has decided to draw a firm line, to decide that an acquittal is special," he said. Meanwhile, Timothy Baughman, arguing on Michigan's behalf, said that to give the prosecution "one full and fair opportunity, we believe, imposes no cruelty or oppression upon the defendant." TheU.S. Department of Justice supported Michigan's appeal. Curtis Gannon, arguing on the government's behalf, called the matter an "egregious case" that did not require the Supreme Court to do away with decades of precedents. Justice Ruth Bader Ginsburg questioned where to draw the line. "If we adopt your rule, it can't be for this case only," she told Gannon. "That's a difficult line to adopt." The case is Evans v. Michigan, U.S. Supreme Court, No. 11-1327.